Make copies, glue onto card stock and laminate for each student. Students can choose their center for the day and mark with a dry erase marker. 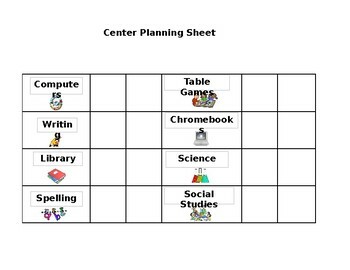 This way you can keep track of where your students still need to go for centers. This document is editable. Enjoy!